virtual homeroom as they attend school full-time online. September 6. 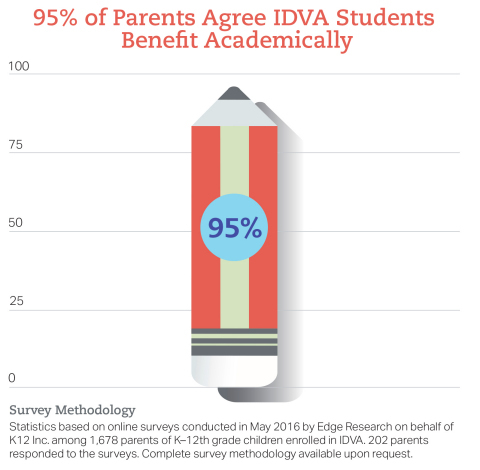 IDVA has been operating in the state since 2002.
powerful education alternative for a variety of students. environment and a focused one-on-one learning experience. or contact an enrollment consultant at (866) 339-9065.
hands-on materials that make learning come alive. Learn more at www.k12.com/idva.